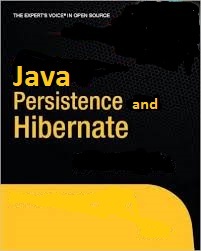 This book is for Java developers who want to learn about Hibernate. It provides a clear introduction to the current standard for object-relational persistence in Java. This book provides more in-depth examples than any other books for Hibernate beginners. The authors also present material in a lively, example-based mannernot in a dry, theoretical, hard-to-read fashion. And since the book keeps its focus on Hibernate without wasting time on nonessential third-party tools, you'll be able to immediately start building transaction-based engines and applications. It is ideal for you if you're experienced in Java with databases (the traditional, or connected, approach), but are new to open source lightweight Hibernate - the most popular de facto object-relational mapping and database-oriented application development framework.